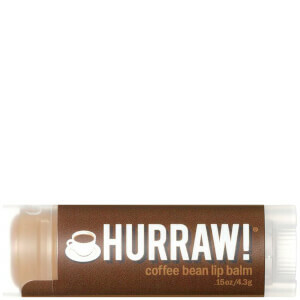 Thoroughly nourish lips with the Hurraw! 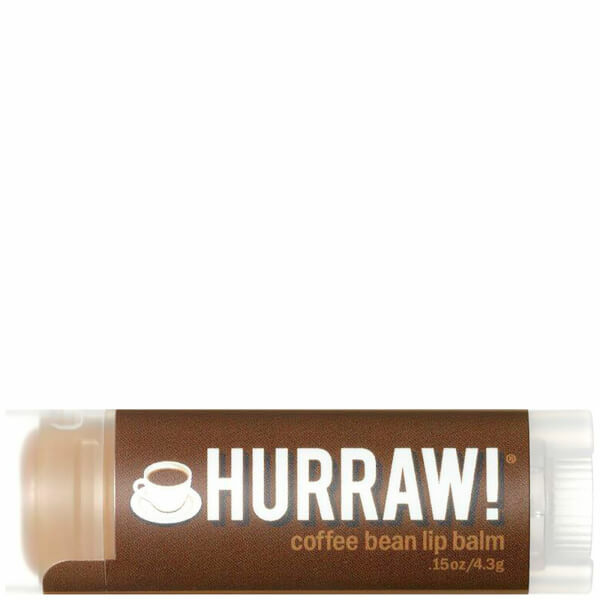 Coffee Bean Lip Balm; an ultra-hydrating formula that cares for skin using premium organic, vegan and raw ingredients. The creamy lip balm intelligently combines Sweet Almond, Coconut and Olive Fruit Oil, which creates a nourishing formula that thoroughly moisturises lips to leave them soft, smooth and kissable. Infused with Coffee Bean extract and a touch of raw Chocolate, the chapstick treats lips to a delicious mocha fragrance that lips can’t help but drink up. Expect all-day hydration. Prunus Amygdalus Dulcis (Sweet Almond) Oil, +Euphorbia Cerifera (Candelilla) Wax, *Cocos Nucifera (Coconut) Oil, *Simmondsia Chinensis (Jojoba) Seed Oil, *Theobroma Cacao (Cocoa) Seed Butter, *Ricinus Communis (Castor) Seed Oil, Olea Europaea (Olive) Fruit Oil, Coffea Arabica (Coffee) Bean Oil, Tocopherols (Sunflower), *Theobroma Cacao (Cocoa) Seed Paste. *Organic & Cold Pressed.